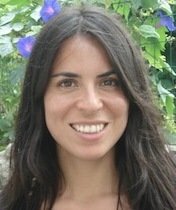 Daniela is a researcher and consultant in the field of gender and development, with a special focus on tourism as a development and poverty reduction strategy. Her PhD (Complutense University of Madrid, 2017) focused in the tourism from a gender perspective as an essential approach in the context of sustainable and responsible tourism development in Nicaragua. Since 2009 she has expanded her international project experience by fostering gender mainstreaming within tourism policies around the world.